And so it has begun ! Another expansion is out ! And to be honest, I am not really feeling it. Just hit lvl 113 about 2 weeks in now. I have been questing a little bit and it feels like more of the same. Which is of course always going to be the case in an MMO, but Legion felt somewhat fresh and exciting. This seems like Legion 2.0 with a few tweaks. And classes that have even less abilities than before. But it’s not too bad, the questing (in small doses) is still fun. The environment looks wonderful, so there is that. Not exactly looking forward to end game with doing tons of world quests. I already did that for Legion and I am not going to do that again. I think I rather level up some alts or just play something else entirely, before falling into that (grinding) trap again. 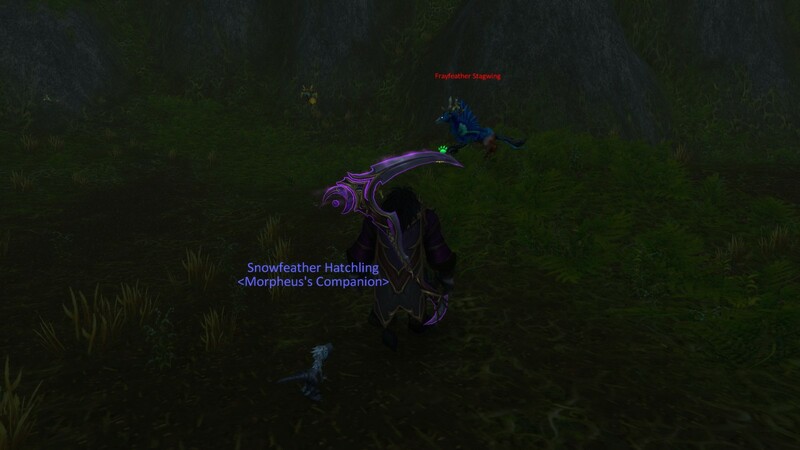 The hatching of the hyppogryphs micro holliday in pictures :). 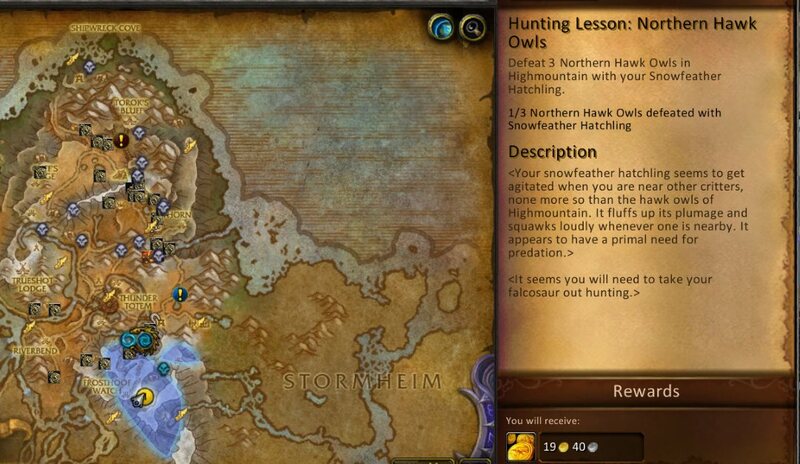 The new mount quest lines in 7.1.5 have a few of these ‘battle a somewhat rare pet in a far off area’ type pet battle quests that are somewhat annoying, but Hunting Lesson: Northern Hawk Owls takes the cake. There is only a small area that is available to travel for the player and only a few of these spawn. That might not sound too bad, but the percentage of them that is actually a battle pet is very low. So far I caught one, and I have been going up and down the path while killing the critters hoping they’d respawn as battle pets for over an hour now. Makes you wonder whether they test these things at all ? 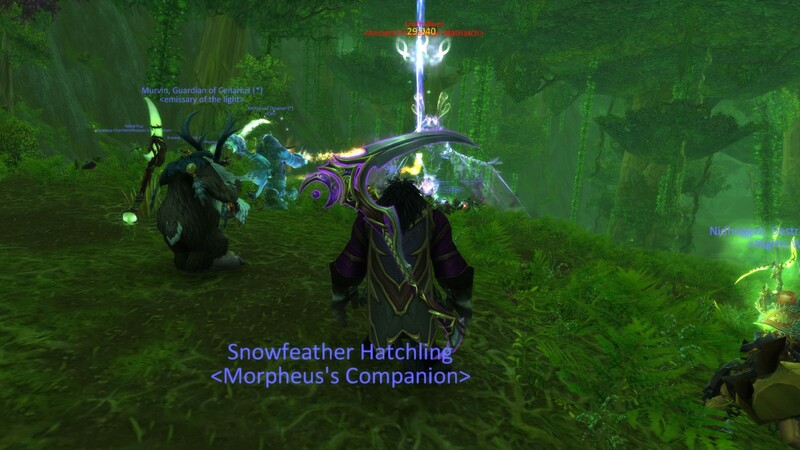 Seems like an easy fix to make the percentage of battle pets spawning just a little higher. As it is, it doesn’t add anything except annoyance to the gameplay. Since I posted this I caught one more. I just go through the area at the end of a session hoping there is one available. 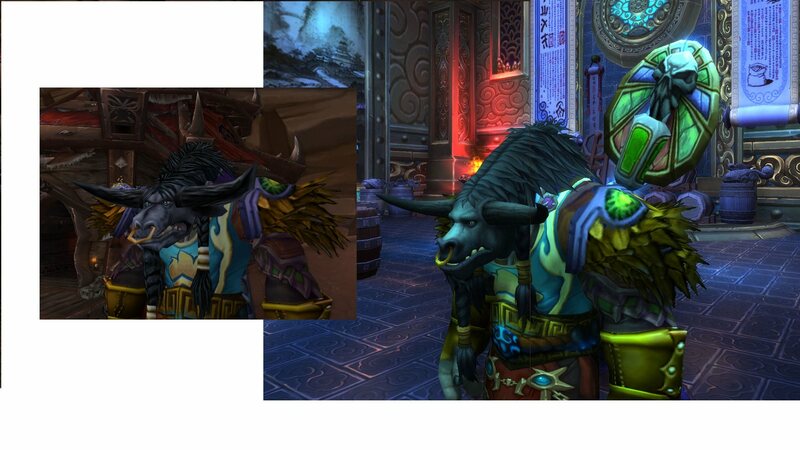 Finally I finished the long quest chain for the Stonetalon mount. It’s wonderful, quite different from other mounts. Now I am onto the first few quests on the bloodtalon hatchling chain for another mount ;). There are 4 introduced in patch 7.1 ! From the lack of updates here one could conclude that I might have lost interest in WoW, but that is definitely not the case ! 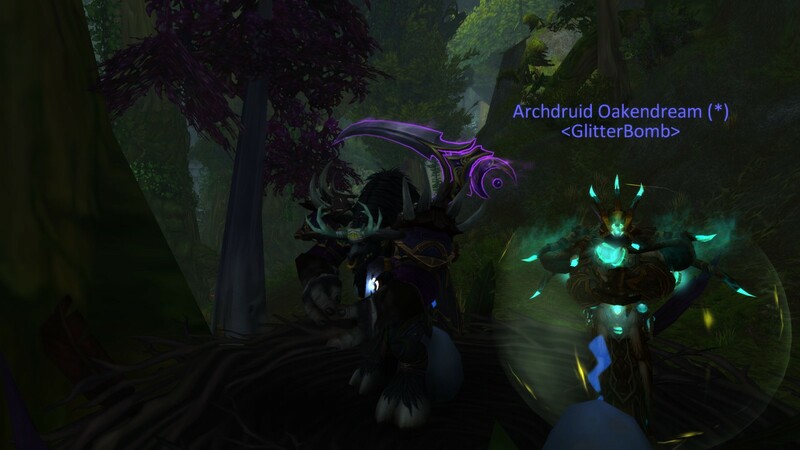 Ever since Legion came out I have been doing my daily World Quests with Morpheus the (balance) druid. Only just the last few weeks or so I have been switching to Zendrella, my warlock a little bit and skipped a day here and there. 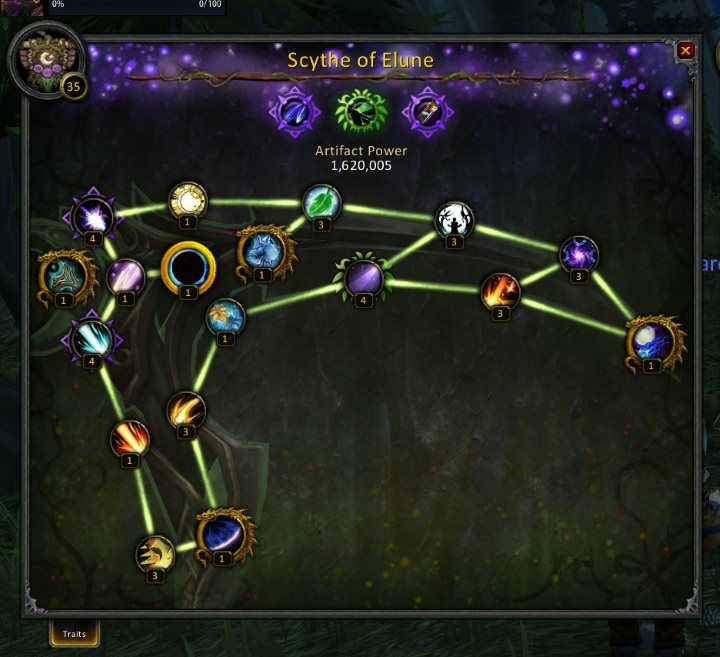 Mainly because I have completed the balance artifact power tree as you can see below. With a 865 rating, and 2 legendaies I kinda feel like I have won the game ;). 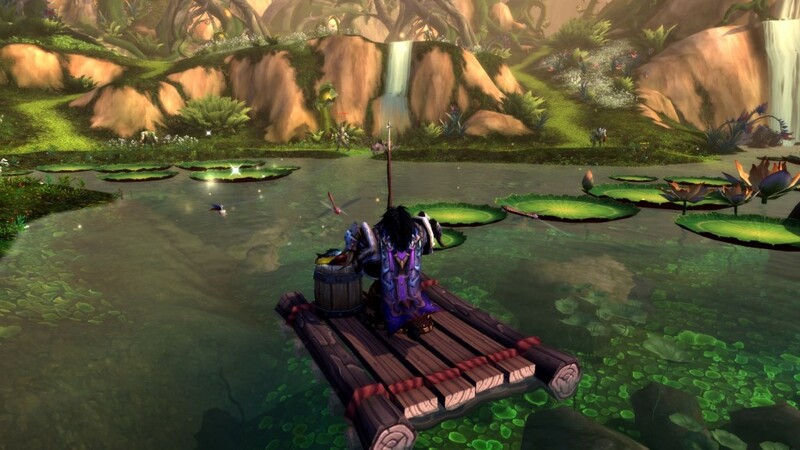 Seriously though, you can quite far by just doing the world quests and the weekly ‘open world’ mods. 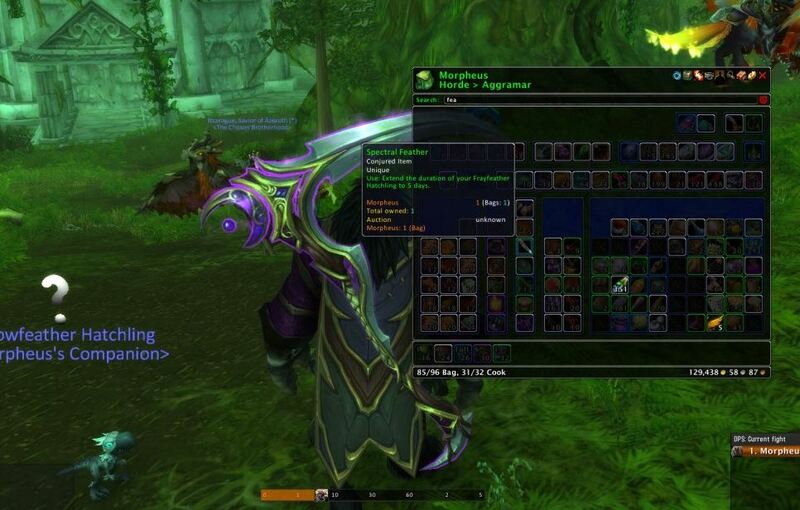 The LFR loot is only about 835 level, so dont expect to get any decent gear through that avenue. Though a new raid ‘Nighthold’ opened up it’s first wing for LFR with high level rewards. But enough about gear, how is the game ? The Broken Isles are quite fun ! The leveling is pretty good with each zone having an overall (independent) story arc. 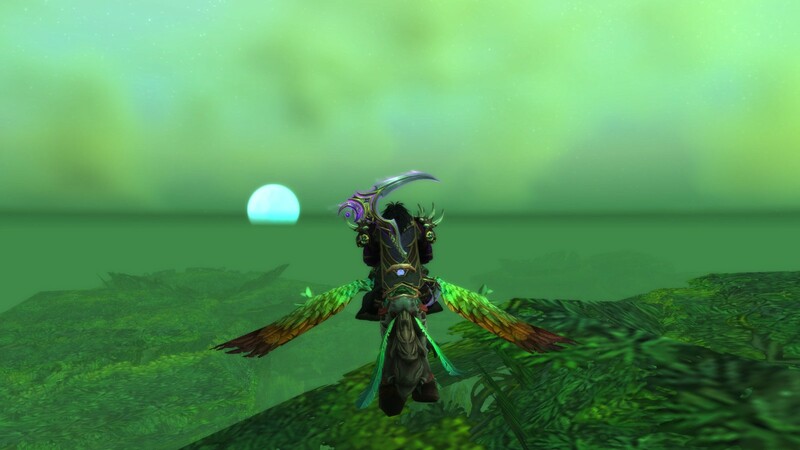 The mobs and quests are always your level or one below you, the Broken Isles scales ! Once at 110 a new game starts though. 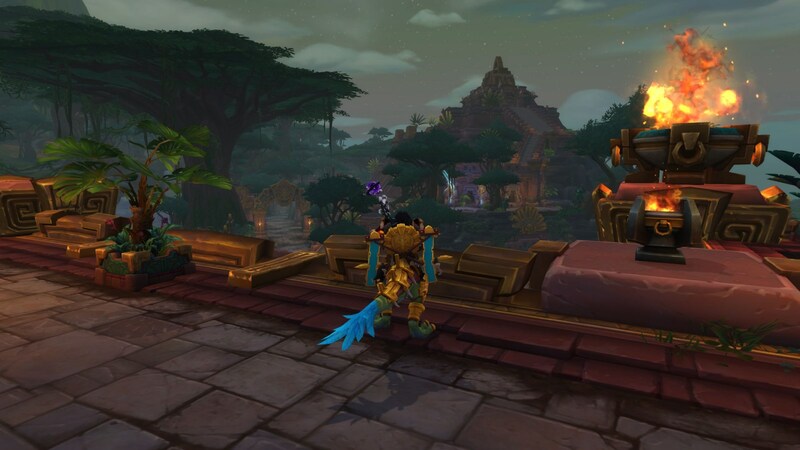 Originally you had to be friendly with all factions on the Isle to start, but to my surprise once Zendrella hit 110 she could start world quests and was giving the extremely handy ‘flight master’s whistle‘ to get started. With patch 7.1.5 the Artifact Knowledge Compendium was introduced as a catchup mechanic for alts ! The intro to Broken Isles was released this week with the Demon Hunter ! I have recorded the intro quest and an invasion. Enjoy :). Pet Battles are back ! After a hiatus of almost a year, I have recorded a new episode of Pet Battles ! It’s a PVP episode with 3 battles inside Zulbob’s garrison. Author EricPosted on August 7, 2016 Categories Pet Battles, VideoTags Pet Battles, youtubeLeave a comment on Pet Battles are back ! It’s finally coming in a few days, the Demon Hunter ! Ever since Warcraft III people have been wanting to play this class and now it’s finally there ;). And in about 3 weeks, Legion will be here as well, so we can forget about Garrisons and WOD and move on to hopefully something beter ! Well everything is patched, toolbars have big holes in them, and character models are updated ;). 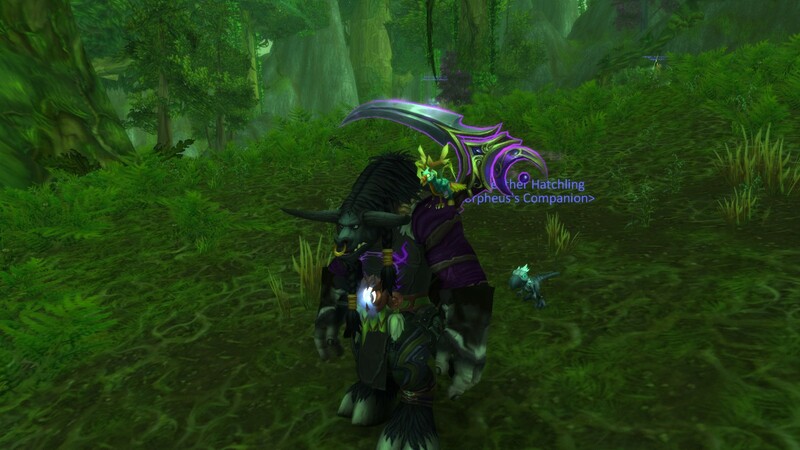 I did run the introductory quests towards warlords and got my new pet. It looks quite cool ! The quest was nothing special. 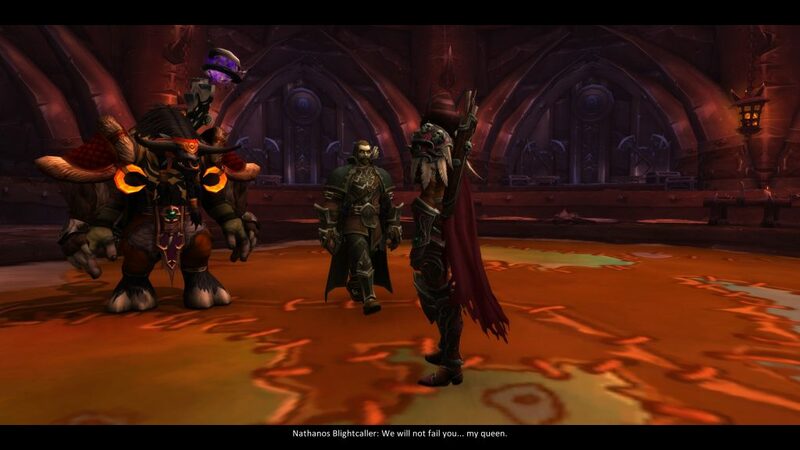 Thrall plays an important part once again, and Vol’jin is now standing in Oggrimar where once Garrosh stood. The new character models will take some getting used to. The walking animation is not as great as they once were. My undead mage zennadar lost his funny undead step :(. Also the damage output is a little weird now with the squished numbers. But stuff still dies reasonably fast even though I wasn’t quite familiar with my new / revamped spells yet. And then the server crashed, but I needed to encode a video anyway, so not too bad. 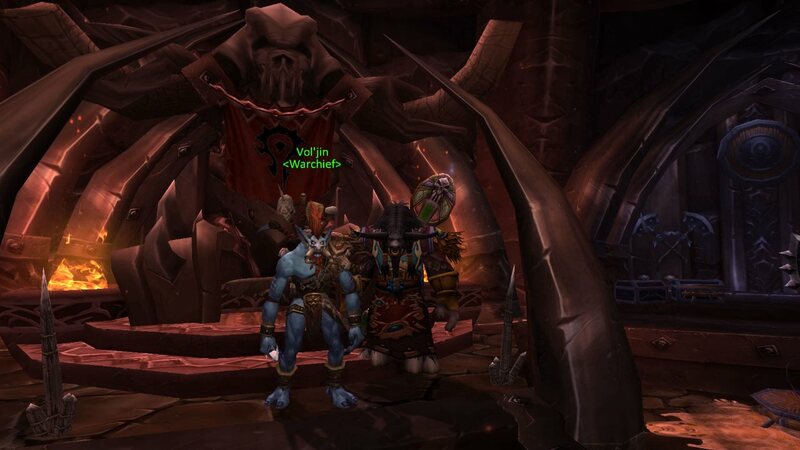 For the very first time, Morpheus meets Vol’jin.